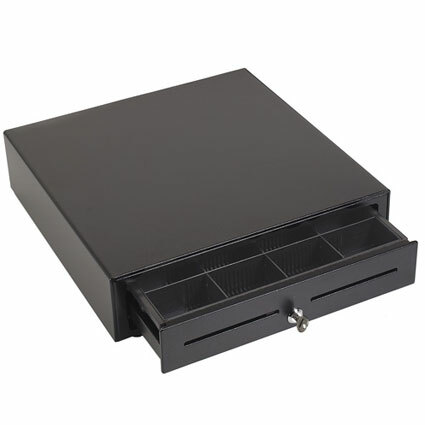 The MMF Val-U line cash drawer is the ideal choice for businesses needing a compact, medium duty solution. Available as small as 13" x 13", the Val-U line is small enough to be used in mobile payment stations such as kiosks or food vendor carts. The cash drawer uses a quick disconnect cable to interface with most major receipt printers, making installation a snap. 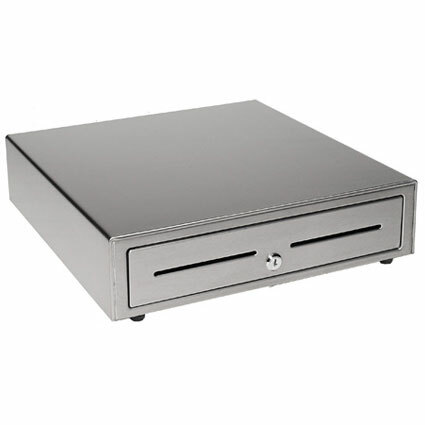 Though compact and economical, the MMF Val-U line cash drawer utilizes an all- steel design, and the roller bearing suspension rails ensure longevity in most environments. With a two year warranty, the MMF Val-U line cash drawer will give any business many years of reliable service. A manual version of the MMF Val-U Line is also available. 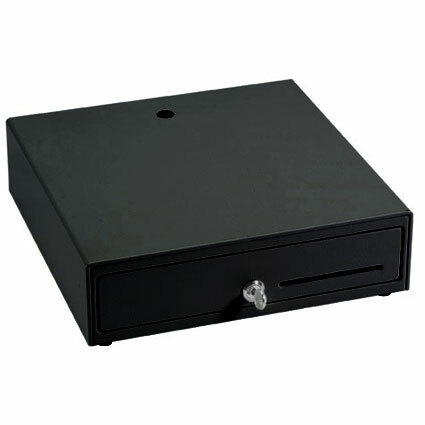 <li> Drawer "Open / Close" detection <li> High impact plastic till design <li> Small footprint <li> 5 bill/8 coins slots <li> 2 year warranty <br><br>A manual version of the <a href="https://posmicro.com/pro/653/mmf/manual">MMF Val-U Line</a> is also available.